Audiences today expect more in the way of quality, custom content than they did a few years ago. It is no longer enough to simply put words on a page; those words must pop and engage the target audience. When planning an advertising campaign, integrating online content as part of that campaign must occur, or you will be writing uselessly. It is usually best to partner with a good content creator before you ever publish your first web page. Many agencies prefer to simply bill you for “content farm” products, but those are no longer acceptable to most clients. They want fresh, invigorating content, and planning for that as part of your entire marketing strategy puts you ahead of the curve. This means engaging the services of a content writer who understands the realities of today’s SEO market and can give you content that will score highly with the search engines as well as with your customers. Images used to be a large part of content cost, but with new technology quality images are relatively easy to produce and publish. Many companies offer ownership rights to images to their clients for high-quality photos that enhance their brand whether the picture was originally designed for them or not. Of course, you can also invest in a unique image that can come to be associated exclusively with your brand. This is a great ground-floor strategy; even if it is initially costly, a well-chosen image on which you hold the copyright may become the most recognized symbol of your product and lead to further buyer loyalty. 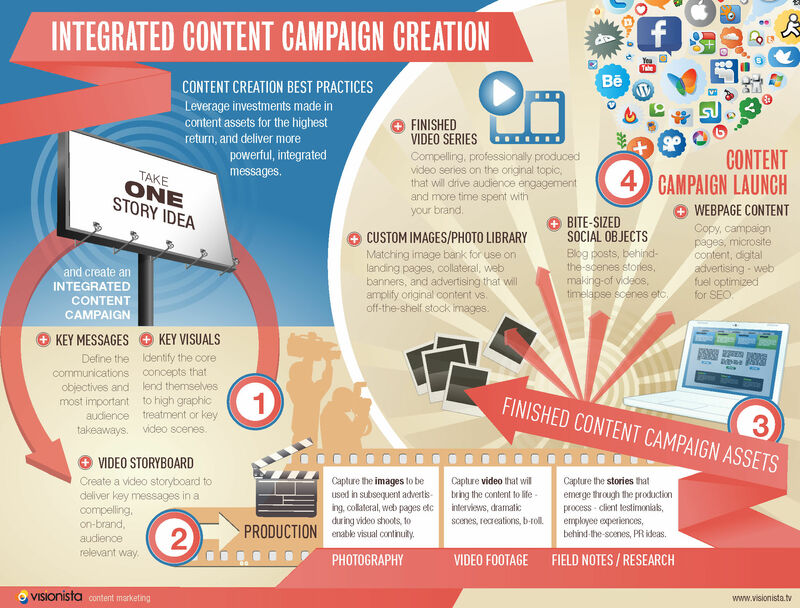 This infographicshows the approach recommended for building a good content marketing program. It goes beyond the traditional approach of simply inserting random items and shows you how to integrate all aspects of your content into a seamless campaign. So, how do you make sure your content creation agency is giving you the best deal, and thinking about your entire editorial calendar — not just the program in front of them? How do you leverage everything you create for your brand? Keep it simple. The simpler and more thematic your content, the easier it is for your readers to understand. Remember to organize your content around relevant topics that speak to your readers or customers. Production. As you write content, remember to incorporate a variety of media such as images, charts, videos, podcasts and other forms of content that will give your audience a great experience when visiting your website. Editing. Be sure your content is free of errors, your links work properly and your visitors will be able to access your content seamlessly. Launch. Launch your content by promotion so that others will be able to enjoy it. It is vital that you use strong promotional strategies that will get everyone looking at your website. Orange County SEO can help you write and market your content successfully. Contact us today to find out how we can assist you with content. Will Google Give Your Website An A+? What Are The Best First Steps in Google Adwords? Copyright © 2019 Swell Marketing Inc.